When it comes to my tech, I have to admit I’m a sucker for anything that looks pretty, of course I have the rose gold iPhone and the pink Musicman docking station but that said it still has to do the job, which both of those do very well. 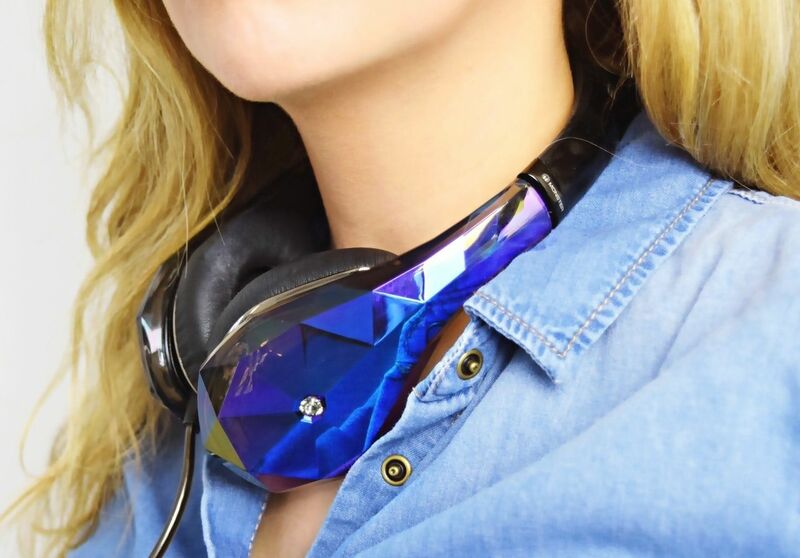 I think the award for most visually appealing headphones has to go to these Monster Diamond Tears. The exterior of these on-ear headphones reminds me of a glass slipper or maybe I have just been watching Cinderella but it looks amazing as it reflects the light. They come in black as seen here and also a stunning rose gold. Currently half-price on Amazon. 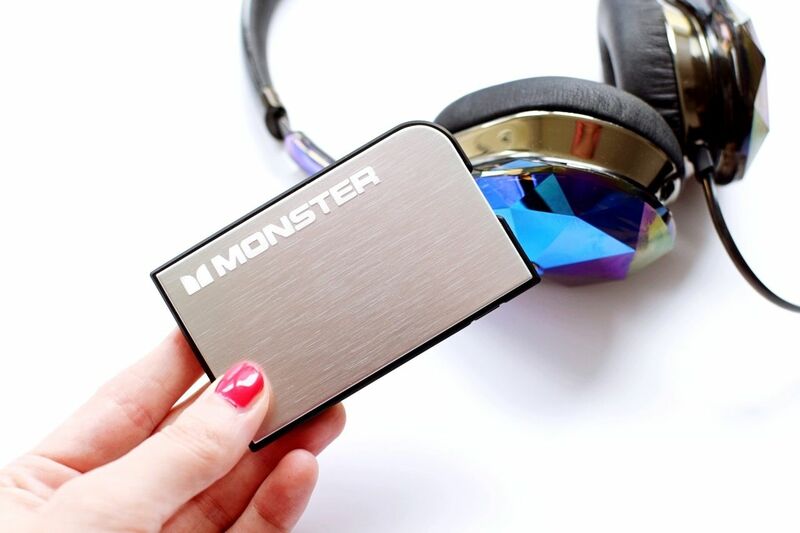 Now aside from the rather lovely exterior, these headphones really do shine amongst others. The quality of the sound is crystal clear, the bass comes through perfect and what I love the most, you can’t hear a thing around you. So it totally blocks out the sound around you. 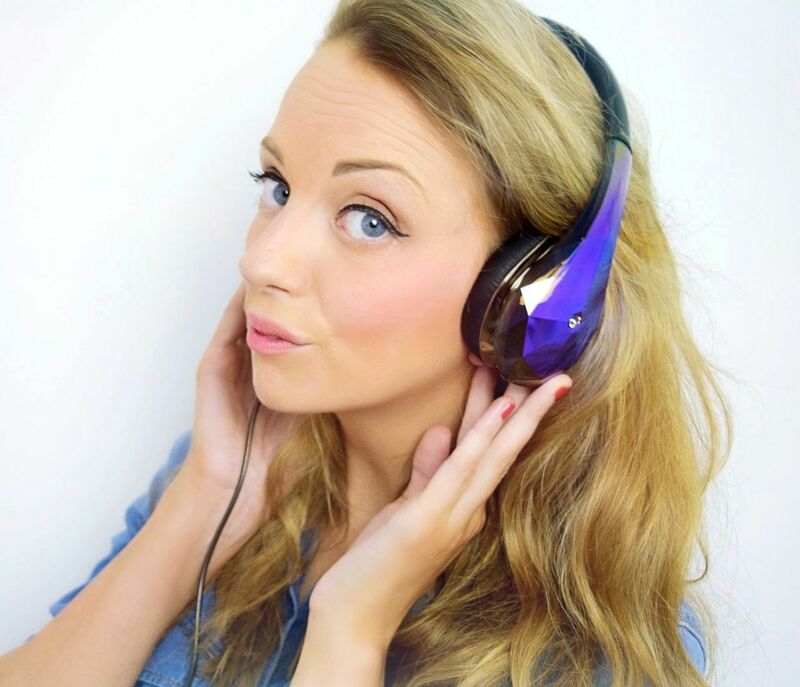 They are comfortable to wear and adjustable to you head size, they also work well with iPhone and iPod. I like to use these for editing my YouTube videos as I can hear every little sound so perfect for editing. With London Fashion Week fast approaching, having good tech is very important. Definitely when it comes to charging my phone. This Monster Powercard is credit card sized and not too much thicker, it looks lovely in silver too and comes in a few colours as well. At around the £25 mark it’s not too bad for something so sleek. But does it work? I use my phone a lot and so I do let the battery go down pretty low. I charged the Powercard up fully for a day out, when my battery got low, so I’m talking that red 5%, I plugged it in and it charged it to maybe 60-70% before the card ran out which was pretty disappointing. However using it again, it managed to charge the phone fully. I think the problem was I was using it at the same time as charging it, so it was using power as well as charging it or maybe I didn’t charge it correctly on my laptop, I’m not quite sure. It comes with a USB to plug it into you laptop and then I used my own iPhone cable to connect my phone. You should however get one full charge out of it when the powercard is fully charged. I think the design is sleek and as a back-up charge it’s a handy addition to my handbag for London Fashion Week. What are you favourite fashion tech items?